The purple boundary in the map below outlines the watershed of your adopted waterway. When it rains, water that falls within this boundary eventually finds its way to your stream. Your adopted waterway is directly impacted by all land within the purple drainage boundary. Stewardship activities performed on land or water anywhere within these purple watershed boundaries will improve the condition of your waterway. This section of Richland Creek is considered unhealthy by the State of Tennessee, as a result of Pathogens, Nutrients, In-Stream Habitat Alteration, and Siltation. Pathogens indicate that water is contaminated by human or animal waste. 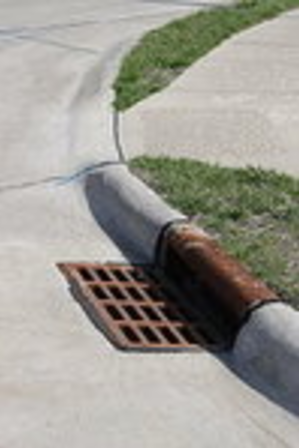 In urban areas, pathogens end up in creeks when dog owners don’t pick up their pet’s waste or when sewer lines leak. Pathogens typically become a problem during and after heavy rainfall, when storms wash pathogens from pet waste off yards and parks from into our waterways or overwhelm sewer infrastructure. Richland Creek Watershed Alliance is at the forefront of stewardship efforts in the Richland Creek Watershed! We've listed ideas and resources we share with our other adopters for stewardship below but know you won't be limited to these alone. Please give the Compact two weeks notice prior to any planned stewardship activity that relates to your adoption. Area watershed associations include the Cumberland River Compact and Richland Creek Watershed Alliance.